There is a quality to solo travel that somehow draws people in. The romance of simply packing a few things and heading out for explorations and adventures that still rings with a Hemingway-esque romance. 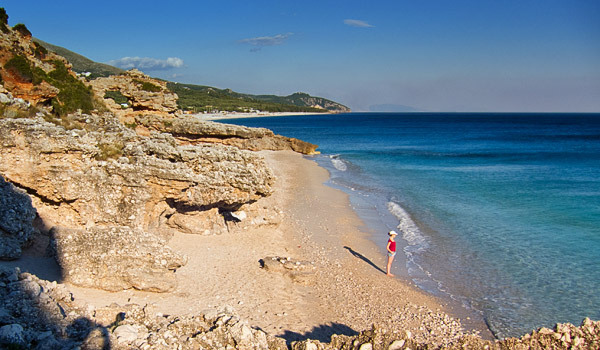 Traveling to such Mediterranean destinations like the Albanian Riviera immerses you into a rich and timeless land. 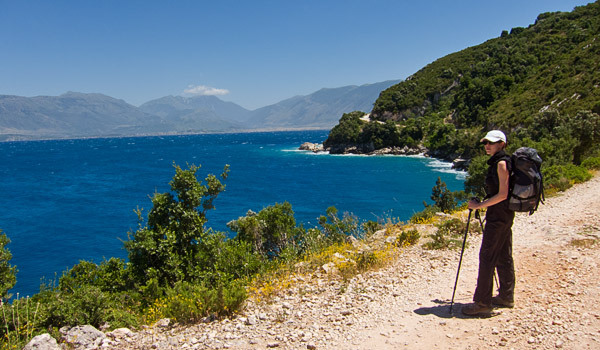 Solo traveling along the Albanian Riviera coast is a delight as the traditional Albanian hospitality puts you at ease almost every time you need something. Before you take your solo trip, review the good and the bad so you know exactly what to expect. Solo travel means if you want to pack up and head out to that little Greek Island in the Dodecanese you were told of, you can. One of the best, if not the best, benefits of traveling solo is absolute freedom. Not having to answer to anyone, or run options and decisions through a bunch of traveling partners allows total freedom. Don’t like where you are? Pack up and try somewhere new. This is the case for such small things as hotels or big things like countries or continents. You write the book, and decide where to go when traveling alone. This is where it becomes a little muddy when solo traveling. On most organized tours and trips there is a “single-supplement” added to hotel or package tour costs. When these are applied, solo travel costs weight higher. However, if you are traveling without being on a tour, you are not paying for extra space in rooms, double-fares for trains/planes/buses etc. You are not picking up the tab for couples-style dinners or meals, and you only pay for one on any excursion or side trip. There is no way around it, solo travel tends to be riskier than traveling with a partner or group. This especially applies to solo travel for women. This risk does not preclude solo travel, it merely means you need to be extra aware and take safety precautions. Yes, there is safety in numbers, but if you make sure you know your surroundings, dress appropriately and get a basic understanding of local cultures and mores, you should be just fine. In many cases, the solo aspect of the risk adds to the adventure and sense of spirited exploration. Like any solo travel, don’t take reckless chances or leave valuables unattended, but do not fear too terribly for your safety, as the people of the Albanian Riviera are gracious and wonderful hosts. As a solo traveller, when the time comes to socialize, the only way it is going to happen is by putting yourself out there and meeting who you want. Solo traveling gets you out of your comfort zone, a good thing. In order to learn about the cultures and people meet during the travels, you need to be bold and assertive. There is nothing like meeting native people and cultures by walking up and getting involved. Yes, language barriers are there, but when you have a friendly smile and open heart, you break through the inability to articulate everything verbally. Never has the adage “laugh and the world laughs with you” reaped so many rewards as when traveling alone and meeting new people. There are many benefits of solo traveling, as well as a few downsides whether its places such as Comfort Suites Maingate Hotel, or Goldstar Hotel and Suites, you need to be clued up on solo travel. Take your needed precautions as a solo traveller, but do explore the Albanian Rivera and find the charms and wonders of this nearly unspoiled and charming part of the world. Reach out to the local Albanians after they greet and help you with a hearty “Ju falenderoj!” while you explore the country’s most beautiful coast. Also check this handy website about solo travel all over the world.